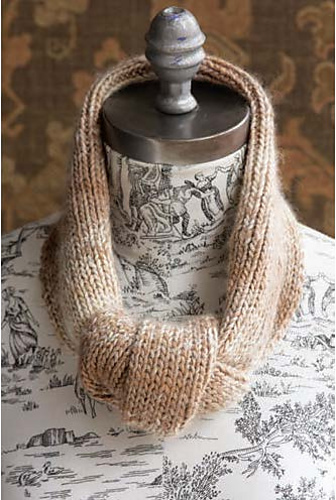 This is a really easy knit, all ribbed, tied and then finished with a 3 needle bind off. The yarn is Cascade Eco Duo and it's so soft that I bought some and will make one for myself. The publisher kep the sample. Some publishers return the sample but most don't. It's published in 60 Quick Cowls.